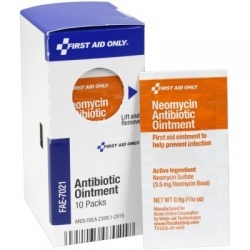 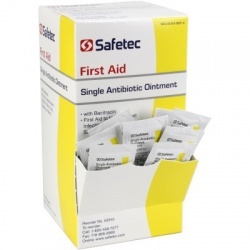 Single Antibiotic Topical Ointment in single use packets can contain the antibioticNeomycin to treat skin infections caused by bacteria or Bacitracin, to prevent infection of minor cuts, burns, and scrapes. 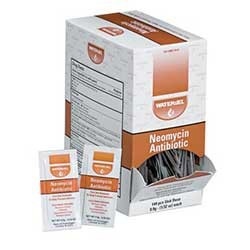 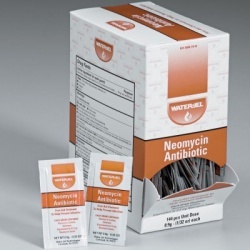 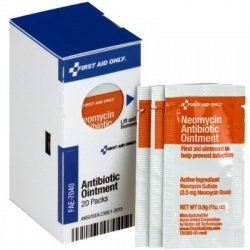 Look for Neomycin and Bacitracin in our Triple Antibiotic Ointment products. 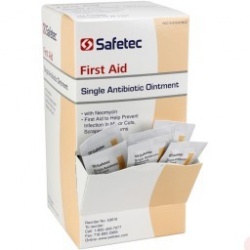 Single Antibiotic Ointment There are 7 products.